Rio Bravo Veterinary Hospital is open six days a week. We are located at 240 Rio Bravo SE. We are open six days a week Monday through Saturday. On full days we are closed for lunch from noon to 1:00. 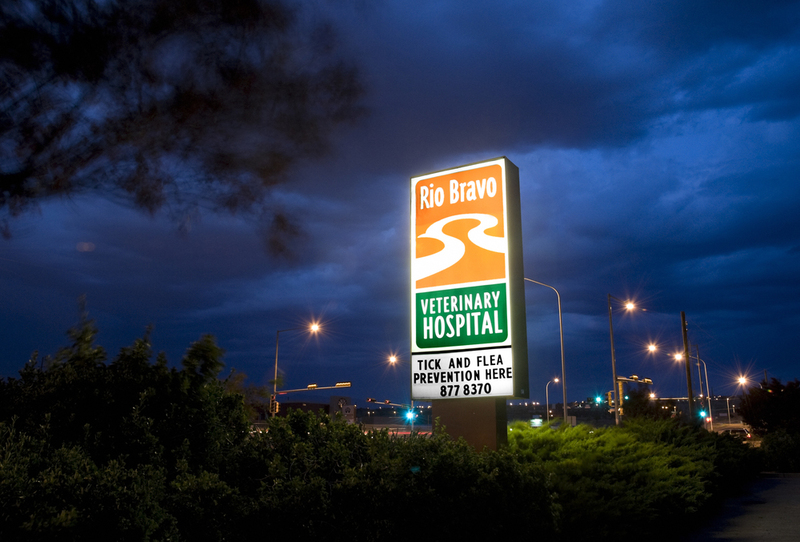 Rio Bravo Veterinary Hospital is conveniently located at 240 Rio Bravo SE, one exit south of the 1-25 Sunport exit. The Hospital is 1.1 miles west of 1-25 on Rio Bravo just west of Broadway. Westbound on Rio Bravo Blvd: take first left after Broadway onto Prince Street, right on King Street, right into back entrance and continue to front, turn right into parking area. Eastbound on Rio Bravo Blvd: from 2nd Street, turn right off of Rio Bravo at entrance and continue into parking area.